the surface of the skin using fine crystals, bristles or diamond tips. A controlled vacuum lifts off the dry, damaged cell layers, leaving behind smoother, more vibrant skin. With progressive treatments this exfoliation procedure can remove damage caused by age, the sun and other environmental factors, leaving the skin looking years younger. The procedure works very well with chemical peels and non-inflammatory acne since it helps to open pores and accelerate skin cell turnover. 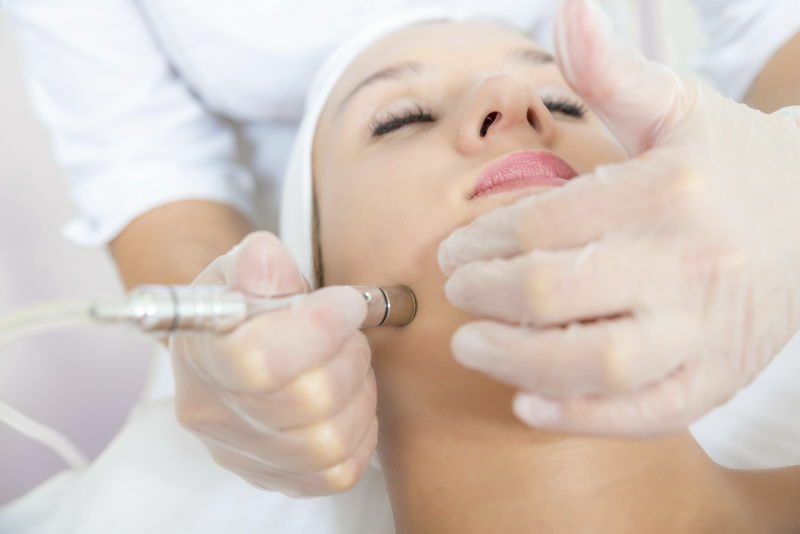 Over a series of treatments, microdermabrasion softens fine lines and wrinkles while correcting blemishes to the skin.